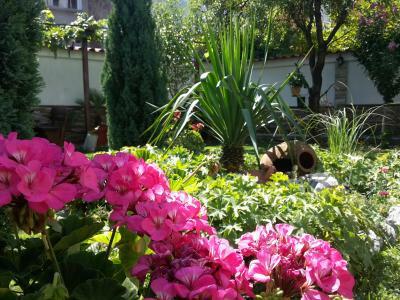 Lock in a great price for Keremidchieva Kushta Guest House – rated 8.7 by recent guests! Quiet and cozy room, cleaned up to brilliance, beautiful garden, comfortable beds , pleasant friendly hosts and delicious cuisine! We liked everything ang enjoyed our stay in the hotel. Borislav and his family are very friendly, always ready to give you an advice where to go and what to see. The kitchen is good and not expensive. We will come again. This hotel is a great value and the room and bath were very clean. The hotel is two short blocks from the town square, restaurants, cafes, shopping and a fantastic park. Boris speaks excellent English. He shared lots of local knowledge which helped us understand the town and enhanced our visit. Food in the restaurant and breakfast was excellent - tasty and fresh! Excellent location as well, close to the center and all the major sights. 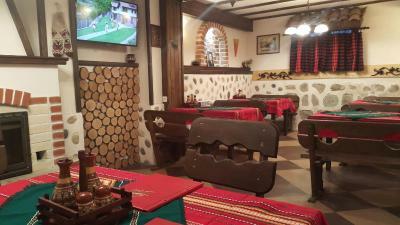 very central location, very nice traditional inn with lovely restaurant. Very friendly staff with excellent English. When we walked in through the front gate, we felt as if we were in a fantasy land. Such a beautiful garden. The room was cosy and very clean, the beds very comfortable. 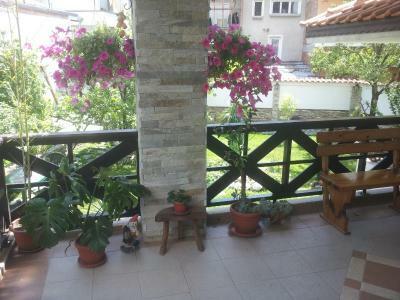 The balcony opened to a lovely view of Pirin mountain. Food was exquisite, eco-food and very delicious, everything freshly cooked on the day. The staff was very friendly, welcoming and gave us a lot of information about the region and things we were interested in. We absolutely loved our stay, which from the initial two days booked turned into two weeks. Yes, that is how comfortable we felt, practically at home! Rakia is veri nice the food is good and very cheap. Nice little yard for the kids. The garden to eat your breakfast is great. Breakfast is also good. Keremidchieva Kushta Guest House This rating is a reflection of how the property compares to the industry standard when it comes to price, facilities and services available. It's based on a self-evaluation by the property. Use this rating to help choose your stay! 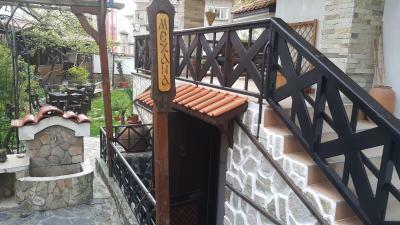 The new Keremidchieva Kushta Guest House is located in the center of Sandanski. It offers air-conditioned rooms with balconies, free WiFi and free parking. A spacious well-maintained garden with an outdoor seating area is available as well. All rooms are furnished in Bulgarian traditional style and are equipped with a cable TV and a mini-bar. 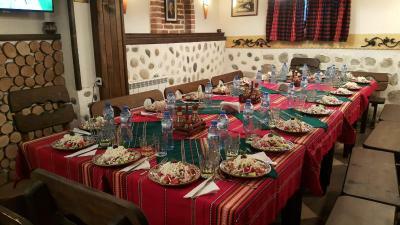 There is also a traditional Bulgarian restaurant on-site with indoor and outdoor dining areas. 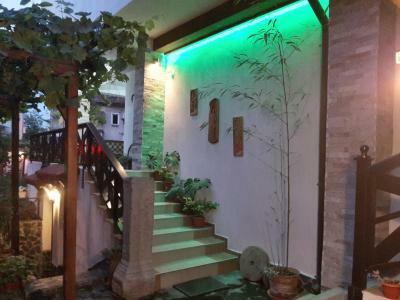 뀐 Located in the top-rated area in Sandanski, this property has an excellent location score of 8.8! 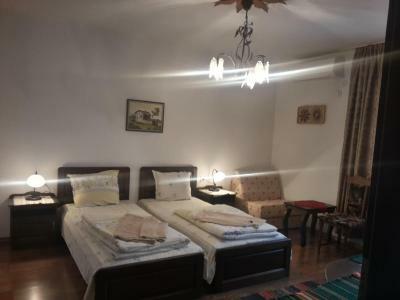 When would you like to stay at Keremidchieva Kushta Guest House? This room features a air conditioning and cable TV. 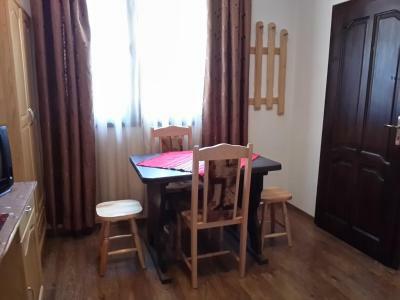 This apartment has 2 bedrooms, a small kitchenette and an anteroom. House Rules Keremidchieva Kushta Guest House takes special requests – add in the next step! Having traveled a lot, I must honestly say that overall service and friendliness could have been better. At this place we had a few 'strange' encounters - we arrived on Friday evening and decided to have food at the restaurant, which was almost empty. Although they were friendly it seemed as though they wanted to rush everything and close down asap. The next evening when we decided to give it another try and went there for dinner (as we loved the food! ), somewhat grumpy waiter (e.g. had a stupid misunderstanding, I ordered a bottle of wine and he brought a glass of wine. When we politely told him that we ordered a bottle he eventually brought one but couldn't keep from telling 'you said a glass'). There was not a single thing I didn't like! Somehow the coordination, who of the guests have a breakfast included or not, was not that good. 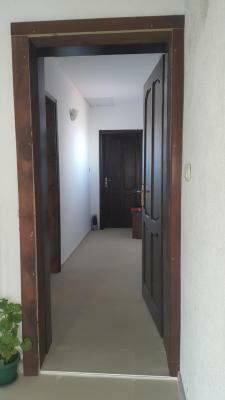 Excellent price-quality ratio - nice people and nice room. Very clean and cosy place. 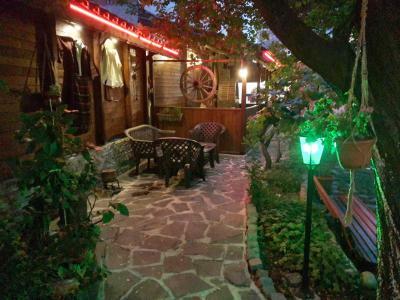 It is close to the city centre and also has a nice tavern with a garden. 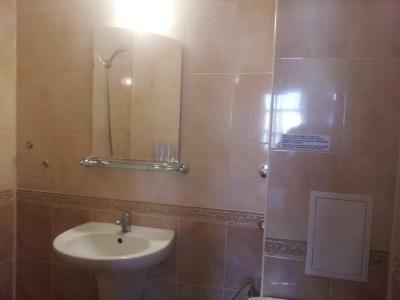 Small bathroom, small room without a place to leave your luggage. Great garden Great food, do not miss it. 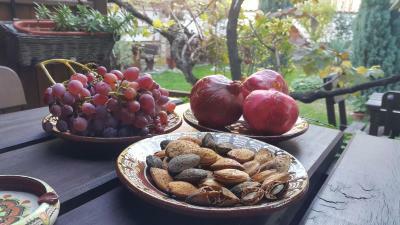 The location is a few hundred meters from the centre of Sandanski, yet it is quiet. The place has a green courtyard with few tables and benches. Nice guest house, very clean with nice rooms. 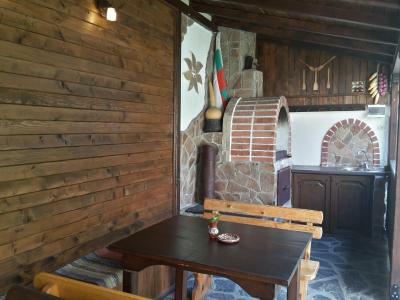 Quiet and comfy situated in the center of Sandanski. Great breakfast and very nice people try to make your stay pleasant. We had super delatious dinner! We missing a bit good guidance and advice from waiter. Good and comfortable rooms, clean and only 5 min from main Street. Beautiful garden where they serve dinner, breakfast... Super placa to chillout. Tastefully and traditionally decorated. Clean. Perfect location. Amazing food.